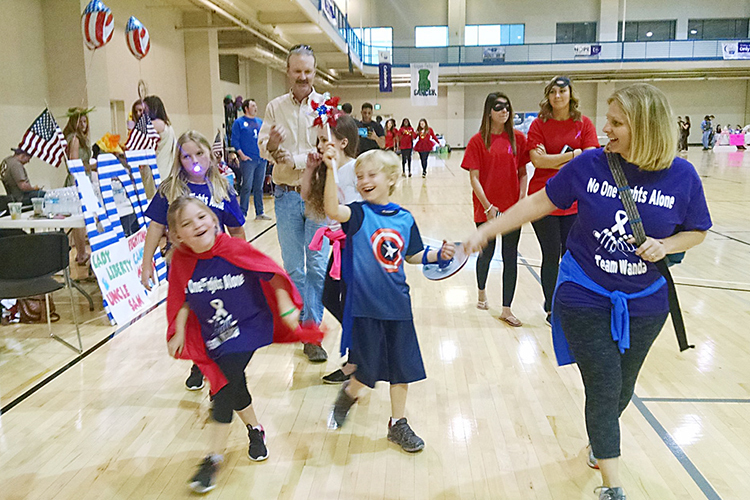 The spotlight will be on MTSU community members who are cancer survivors or are battling cancer at this year’s Relay for Life fundraising event Friday, March 22, in the Campus Recreation Center. The MTSU chapter of Colleges Against Cancer and the American Cancer Society will present the Relay for Life from 6 p.m. to midnight March 22. Their fundraising goal is $10,000. The opening ceremony will be dedicated to those who have been affected by cancer. Cancer survivors and caregivers will be treated to a special dinner, and participants will walk a special lap in the Rec Center gymnasium to honor the strength and courage of those diagnosed with the illness. A campus map is available at http://tinyurl.com/MTParkingMap. Off-campus visitors attending the event won’t need a parking permit because the event’s after regular university hours. Dr. Dianna Rust, an associate professor of university studies and faculty adviser to the Relay for Life Committee, said the event is student-led. “Not only does this give our students an opportunity to participate in community service for a great cause, it also gives them great event-planning and fundraising experience,” Rust said. Individual registration is $5 in advance or $10 at the door. Children age 10 and younger will be admitted free. There is no charge for team registration. Participants can register online in advance at www.relayforlife.org/mtsu. Teams and individuals will walk laps at the relay. In addition, participants can purchase luminaria bags at the registration website or at the event. Rust said the luminaria ceremony is her favorite part of the event. The family-friendly event will feature basketball and dodgeball games as well as table games, and children can bounce on inflatables. Baked goods and drinks also will be available to buy. For more information, contact Rust at 615-351-8761 or dianna.rust@mtsu.edu or Teresa Frazier of the American Cancer Society at 931-629-2472 or teresa.frazier@cancer.org.